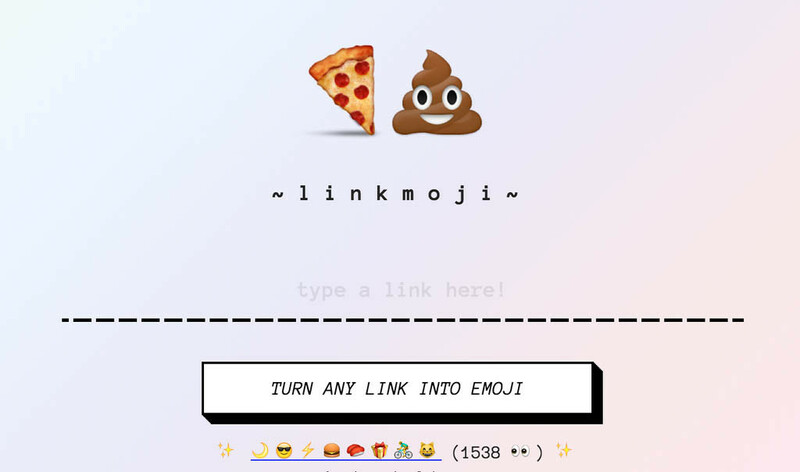 Turn your links into emoji with this crazy emoji link shortener. Linkmoji is a URL shortener with a twist: instead of making your links shorter using characters, it uses emoji. You’ll surely get an increase in click-throughs to your links on social media while this is still novel. Convert URLs into emoji with this emoji URL shortener! Emoji are simply characters that are a part of the Unicode, the popular standard for indexing characters. It makes sense that you can use emoji characters . Emoji URLs don’t seem to work with the .com TLD, and perhaps only works with the .ws TLD. This is one of the first emoji URL shorteners in the world. Emoji link shorteners have been used already by popular brands including 7-Eleven, Wired and Huffington Post.